WOMEN have been making a strong presence in all Bailspeak 20 Hour Bail Agent Pre Licensing and Continuing Bail Education Classes and in growing numbers over the years. 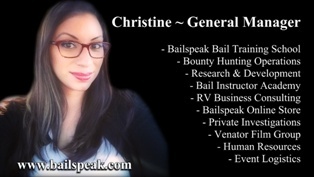 More and more women are becoming top tier bounty hunters, bail bond company owners, bail agency upper management policy makers, job recruiters, corporate surety vice presidents and CEOs. Learn more about the impact Women are having on Bail only at Bailspeak that is now holding bail school classes in Sacramento, Roseville, Modesto, San Jose, Bakersfield, Los Angeles County, Riverside County, Santa Ana, and San Diego County. 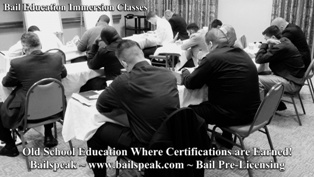 BAIL EDUCATION SCHOOLS are independently operated, and there is no other Bail School with immersion curriculums with such a strenuous emphasis on morals, ethics, absolute State-of-the-Art associative memorization techniques covering an expansive array of applicable laws, published case cites, how it all applies to operating in the bail industry and with an astounding Alumni first-time pass rate of the California Bail Exam. Everyone knows that anyone can put whatever they want on the Internet, so, for this reason and to quantify the claims in paragraph three above, Bailspeak routinely posts real student quotes (please see column to your left) from those who have actually taken the Bailspeak classes and put in writing their opinions and with permission to share such opinions. I am oddly comfortable here sharing that Bailspeak Alumni are the best trained people coming out of bail education classes and make the best hires—bar none! A CAPABLE YOUNG WOMAN possessing above average will, determination, and sticktoitiveness and in combination with that “never give up” mind-set where acute focus causes such a young woman NOT to see “Obstacles” as “frightful things” that are seen when her eyes are diverted from her “goals” is how the pictured young lady here is now an unseen but major player in shaping the future of bail in California. 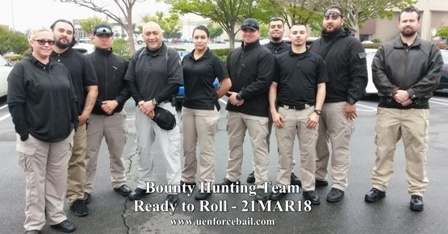 These are most interesting times to be living through and involved in with respect to the California Bail Bond, Bounty Hunting, and Bail Education Industries. Bailspeak’s own Senior Registrar Elise is no stranger to the rigors and dangers of bounty hunting, and it would be arrogant presumption to assume that whoever answers the phone at Bailspeak is without Bounty Hunting Experience. 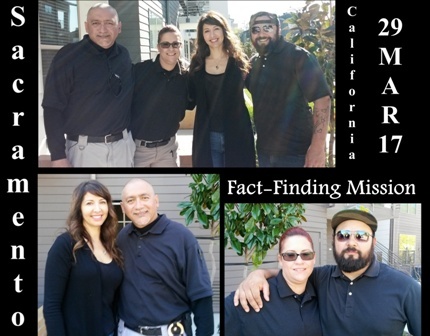 It has been and continues to be a wonderful experience to work with Miss Dee who is a Bail Bond Company Owner, Active Bounty Hunter, and is now a senior California Department of Insurance Registered Bail Education Instructor working with the Bailspeak Bail Training School, the active bounty hunting teams, and investigator for the subsidiary private investigation firm. Women command many of the policy making decisions and manage the day to day operations of major bail bond sureties with hundreds of bail agency bail bondsmen and their employee sub-agents who are the people that hire bounty hunters regarding the recovery of bail jumpers. Evie arrived at her Bailspeak Intern interview with a 4.0 plus GPA and self-taught skills in combination with demonstrating exceptional abilities to master new skillsets while displaying unwavering work ethics. Today Evie has taken on the Lead position in the Venator Logistical Support Group and its Art Department where her skills and willingness to grow in business are sure to help her secure her future career goals. A young woman does not have to be purely bail orientated because a bail organization must keep up with the times, and these times require skilled folks in social media, information technology, ministerial expertise, and etceteras. 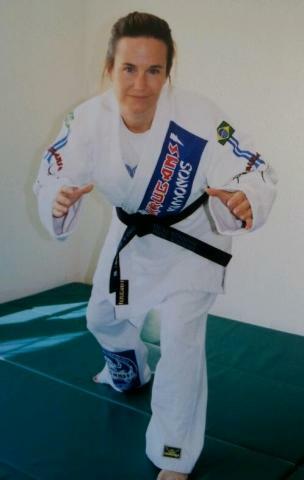 Evie is proving that one can be skilled in areas of business apart from traditional bail roles. A strikingly little known fact is that Women hold some of the most powerful and prestigious positions in the bail bond industry and on local, state and National levels. Women today are high-powered corporate executive officers, senior vice presidents, vice presidents, and assistant vice presidents of some of the most influential, most trusted, and, incontrovertibly, Women are making executive decisions within the most venerable property and casualty insurance bail surety corporations now operating in the United States. Women command the very top levels of the Nation's bail bond industries as surety executives, general agency policy makers, corporate officers, bail bond company owners, bounty hunting team leaders and bounty hunters, according to verifiable proof. BOUNTY HUNTERS are, once again and as predicted in the above video shot over 13 years ago, in very high demand by bail bond company owners, bail corporations, and independent bounty hunting team leaders. 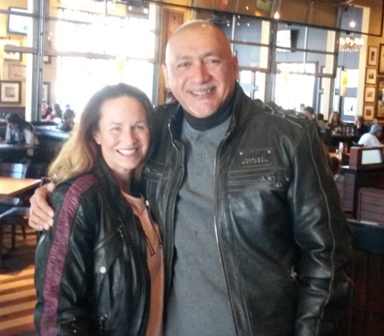 I was out engaging in Harley-Davidson “wind therapy” when it struck me that despite my station in the California Bail Bond Industry, I personally answer to over a dozen Women ranging from my own Office business advisers and right up to bail surety executives. Anyone interested in starting a career in the bail bond industries should take into consideration that there is tremendous opportunity in bail and for anyone willing to put in the work. 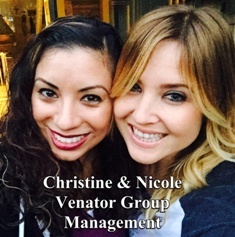 Christine and Nicole have been Key Personnel for over 18 Years and are trusted advisors in the overall operations of Bailspeak and its Sister Operations. 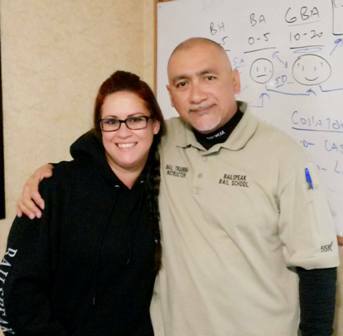 Bailspeak Instructors on the set of "Cholos Try Bounty Hunters" shot in Sacramento, California. 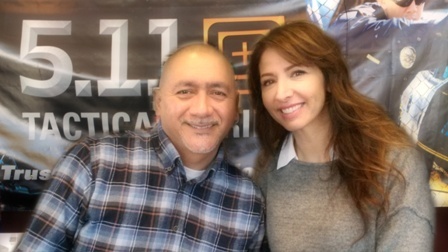 Rex with Dianne who is Venator Group's Legal and Senior Administrator for Bailspeak and all of its subsidiaries. Two top tier business experts take a break from discussing Game Theory that has produced remarkable results and partnerships. 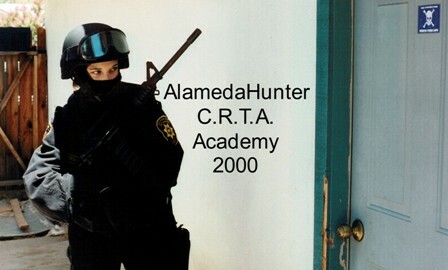 There are top tier female bounty hunters prowling and growling in California and with one of the most successful if not most successful female bounty hunters remaining very active hunting wanted felony bail bond fugitives since the 1990s. Miss Elise, Iraq War Veteran, poses after apprehending a bail jumper actively on the run in under six hours! Miss Kara gearing up and assisting with two bail jumper apprehensions in two counties in under 12 hours. 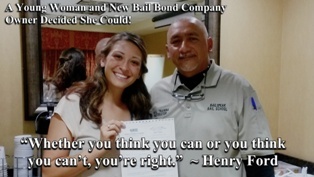 This new bail bond company owner hit her goal in her early 20s! Female Bounty Hunting Operators can go places and do things that males cannot and vice versa. Pictured is a graduate from the precursor academy to Bailspeak.